The No. 8 University of Wisconsin (4-1, 1-1 Big Ten) football team fell 14-7 to No. 4 University of Michigan (5-0, 2-0 Big Ten) in a fourth quarter thriller at “The Big House” Saturday. The Badgers had yet another dominant display of defensive fortitude, but were shut down by an even more impressive Wolverine defense in frustrating fashion. In a game in that Wisconsin never led, the offense was unable to get anything going with three interceptions from redshirt freshman quarterback Alex Hornibrook, including two on the final two drives of the game. 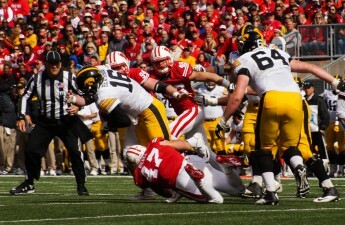 Despite the turnovers, the brunt of the inability to move the football came on third down as the Badgers converted only one of their six attempts in the fourth quarter and forced their defense back out on the field time after time. In only his second career start, Hornibrook finished with nine completions on 25 attempts and missed several big throws that could have helped the Badgers climb back into the game. 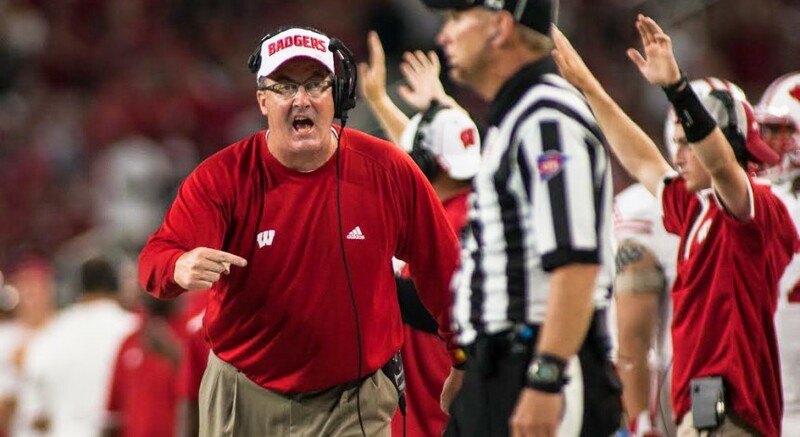 Head coach Paul Chryst said when Hornibrook looks back at the tape he will probably want to have some of those throws back, but still has confidence he will learn from this and move on. While Hornibrook and Chryst both gave credit to the dominant Wolverine defense, they also acknowledged the significant disparity in time of possession gave Michigan 23 more plays on offense and ultimately led to the 46-yard, game-winning touchdown to Michigan’s Amara Darboh. In what turned out to be a very uncharacteristic performance, the Badgers held the ball for only 24 minutes in the game and a slim 3:25 compared to the Wolverine’s 11:35 in the third quarter. With all that, Wisconsin still had several chances to pull ahead on possessions in the third quarter. After losing fifth-year senior linebacker Vince Biegel to foot surgery Thursday, it was uncertain whether Wisconsin’s defense could fill the void the All-American left against a dangerous Michigan offense. While redshirt freshman Zack Baun and redshirt junior Garret Dooley both logged significant minutes for the Badgers, juniors T.J. Watt and Jack Cichy picked up the slack and recorded 23 total tackles and 2.5 tackles for loss. 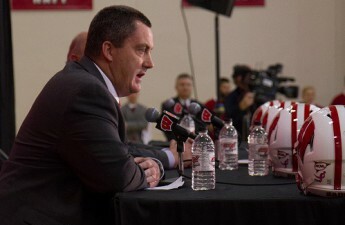 Chryst said in a news conference after the game the team will get an update on Biegel’s status later this week. Ultimately, however, the defense needed a little luck from the Michigan kickers to hold the Wolverines to 14, an offense that averaged 52 points over their first four games. Michigan missed three field goals from 21, 42 and 40 in the first half allowing Wisconsin to stick around for the majority of the game and beat the 11-point spread. The Wolverines won in almost every offensive category, more than doubling the Badgers in total yards (349-159) and yards per play (4.6-3.0). Though Wisconsin was able to keep Michigan’s explosive running back De’Veon Smith and defensive back Jabrill Peppers at bay, the Badger run game was met with similar inefficiency and netted only 71 yards behind 68 yards from senior Corey Clement. The loss ended the Badger’s first 4-0 start to a season since 2011, and dropped them to second in the Big Ten West standings behind No. 15 University of Nebraska. The team still controls their own destiny to reach the Big Ten Football Championship Game, however, with a battle against the Cornhuskers at home on Oct. 29. The Badgers enter their bye week at 4-1 overall (1-1, Big Ten) with their fourth top 10 matchup of the year approaching against No. 2 Ohio State University at home Oct. 15.